National Standards or Wikipedia: Buying Industrial Oil - ! Equipment for Transformer Oil Reclamation. GlobeCore. Industrial oil is distilled from crude oil. These oils have relatively low viscosity, about 5-50 cSt at 50C. In everyday life and in the industry, these oils are used for lubrication in friction parts of machines, fans, pumps, textile machinery or as hydraulic fluids, as well as a base for production of grease. 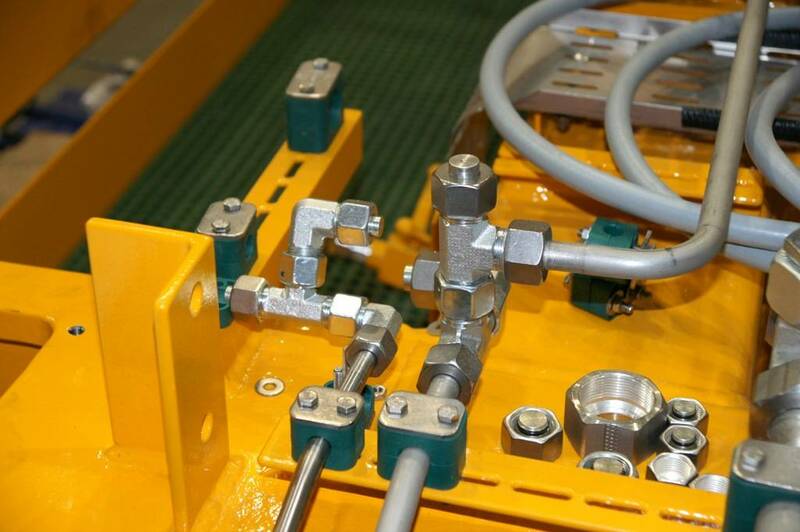 Hydraulically driven industrial systems are only one of the many areas of industrial oil use. Adding a range of antioxidation, anti corrosion, anti wear and other additives makes it possible to use the oil for lubrication of bearings, gearboxes and hydraulic systems of industrial equipment. Industrial oils are used for lubrication of gears, worm and screw drives of various industrial machines, such as metal and wood cutters, hammers, presses, molding machines, winches, cranes, conveyors, elevators, rotating cement furnaces, paper machines, mining machinery, textile equipment etc. Due to the many various conditions of industrial oil operation, a wide range of various lubrication materials has been developed. Depending on use, there are two large groups of industrial oils: general purpose and special use oils. Smaller groups of oils are classified according to predominant use: for the textile industry, for rolling mills, for quenching, for heat exchange etc. The various national and international standards contain detailed information on the requirements to purity, operation and storage of industrial oil. By referring to these documents, it is possible to select the best and the most reliable oil type for the specific facility. There are many ways to purchase industrial oil, either directly from the producers or even online. Prices usually vary depending on the type of oil and the total volume of purchase. Searching online for ‘buy industrial oil’ yields nearly 50 million results. If you plan to buy industrial oil, you should consider the added value of the service, such as shipment and payment options, specialist advice, pricing etc. The buyer has the choice, but the rules of the market are created by all participants.